Rheumatism is not a single disease, but there are over 100 different types of rheumatism diseases including osteoarthritis and rheumatoid arthritis. A common feature of rheumatism is the pain in the muscles or joints accompanied by swelling and inflammation. Wear and tear of the joints result in osteoarthritis, while rheumatoid arthritis results from a hyperactive immune system. The different rheumatic disease can have different causes. Almost any joint is vulnerable to a rheumatic disease. Also, whether the cause is wear and tear of the joints, loss of synovial fluid, or autoimmune disorder they invariably lead to pain and swelling of joints. The two most common forms of rheumatic diseases are osteoarthritis and rheumatoid arthritis (RA). Generally, rheumatoid arthritis affects more women than men. For every man affected by RA, there are three women affected by it. It is estimated that a little less than one and a half million people are affected by RA, and three-fourths of them are women. On the other hand, osteoarthritis (OA) has no such gender discrimination. While both OA and RA affect joints leading to pain and swelling in joints, the symptoms in the two can vary with their distinctive features. Although there is no cure for rheumatic diseases, treatments can help relieve the pain and swelling so that the patient can lead a normal life. 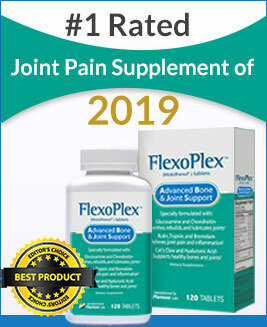 You can use a pain relief product such as Omega XL which is designed to target the root cause of joint pain, thus preventing the condition from aggravating. Primarily all rheumatic conditions can be broadly understood as either rheumatic arthritis or osteoarthritis. Over one million Americans are affected by RA of which three-fourths are women. RA can lead to severe stiffness, pain, and swelling due to the body’s immune system attacking healthy tissues. Deformity and permanent joint damages are quite possibly due to RA. Osteoarthritis could be considered normal to aging. Although every body part is affected by OA, generally it affects the fingers, neck, lower back, hips, and knees. The signs and symptoms of OA include swelling and pain in joints, stiffness, joint instability and muscular weakness, difficulty in gripping objects, bending over or sitting, as well as painful walk. What Treatments are available for Rheumatism? However, it needs to be clarified that rheumatoid arthritis has no cure. Medications can, however, relieve pain, reduce swelling, and slow down the progression of the disorder. You may also consider using Vital 3 to get relief from joint pain. Surgery may be needed if joints are irreparably damaged. The NSAID class of drugs is most commonly administered to reduce inflammation and relieve pain. There can be side affects to these drugs also. In addition, corticosteroid medications and DMARDs are also recommended. In case of RA, immunosuppressants are given. There are many more drugs that target specific regions. Physical exercises are a part of therapy in order to keep your joints flexible. If medications fail to work effectively, surgery may be recommended to restore damaged joints. Surgery may include total replacement of joints with metallic or plastic prosthesis. Alternatively, joint fusion may be conducted to realign or stabilize a joint.